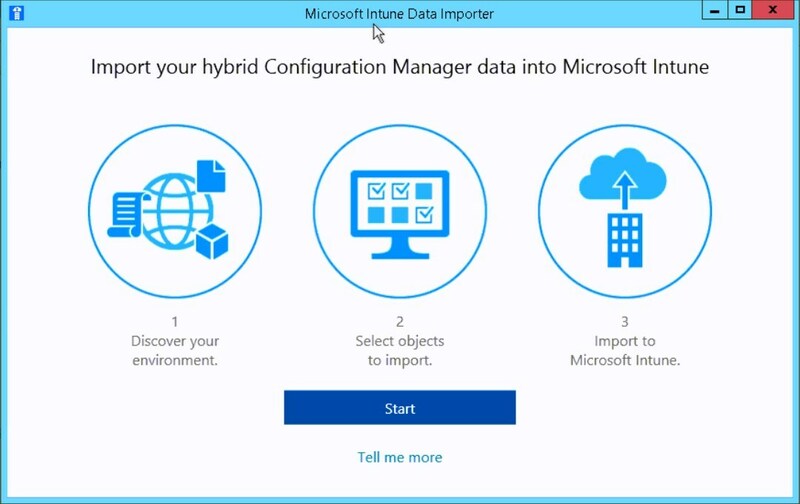 With the release of SCCM 1710, one of the key new features is the Co-Management possibility with Intune. Going in the direction of the Co-Management would eventually allow to offload some management task to Intune and be more aligned with the concept of Modern Management for Windows 10. 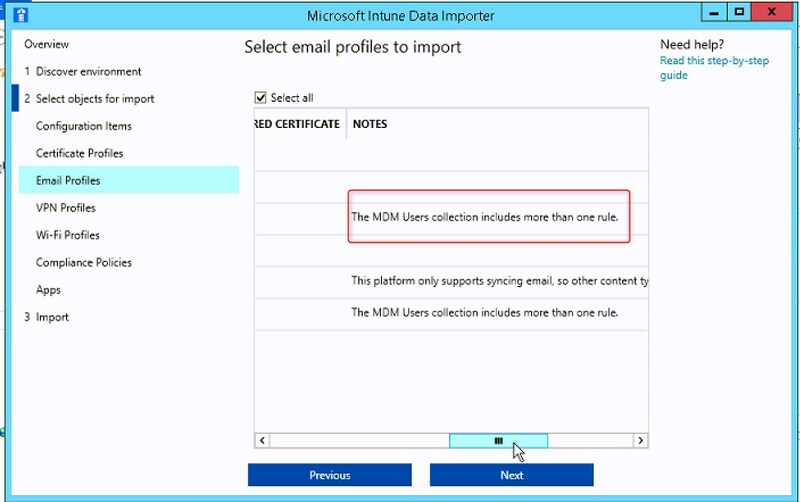 One of the main requirement to enable Co-Management is to have Intune as the MDM Authority. 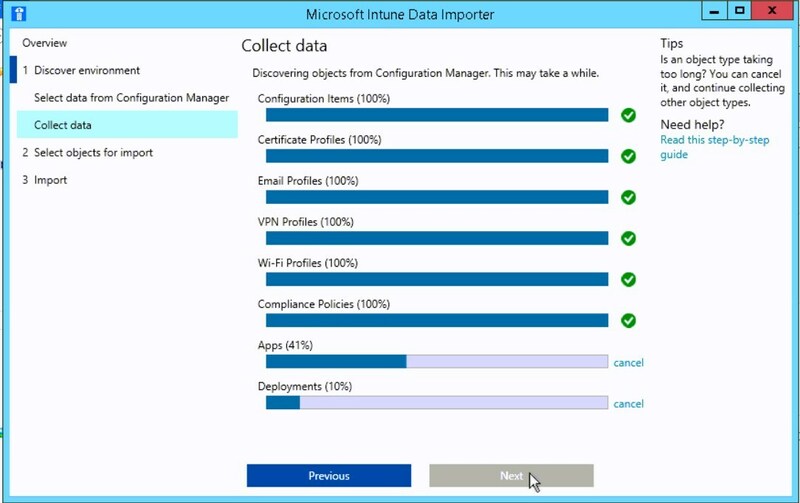 This goes against what many SCCM admins have done over the past few years, by enabling the Intune Connector in SCCM to manage mobile devices from the SCCM console. 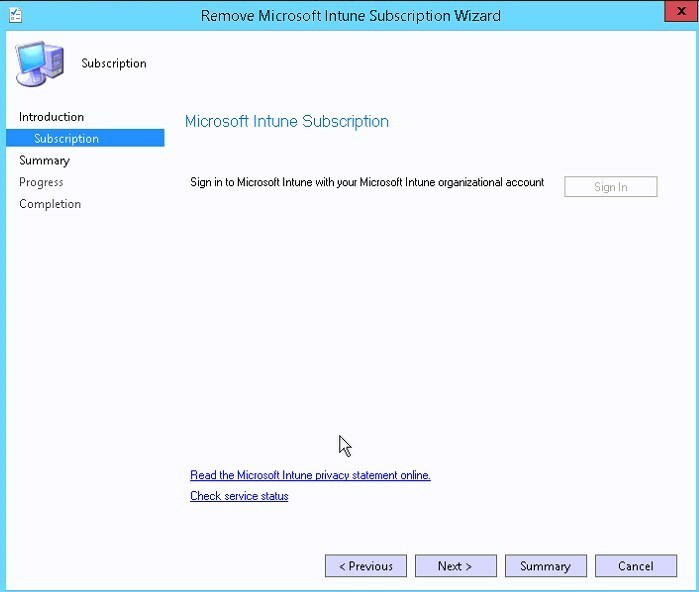 This is called Intune in Hybrid mode. 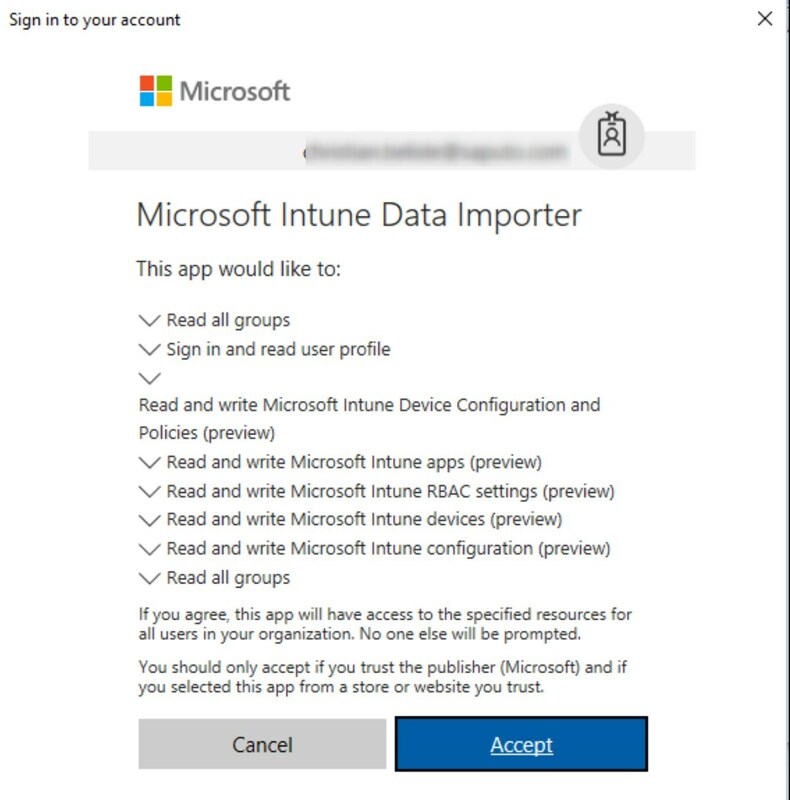 Microsoft has come up with a solution to bring back Intune as the MDM authority, which is the Standalone mode. All this without impacting the end-user with his enrolled devices. 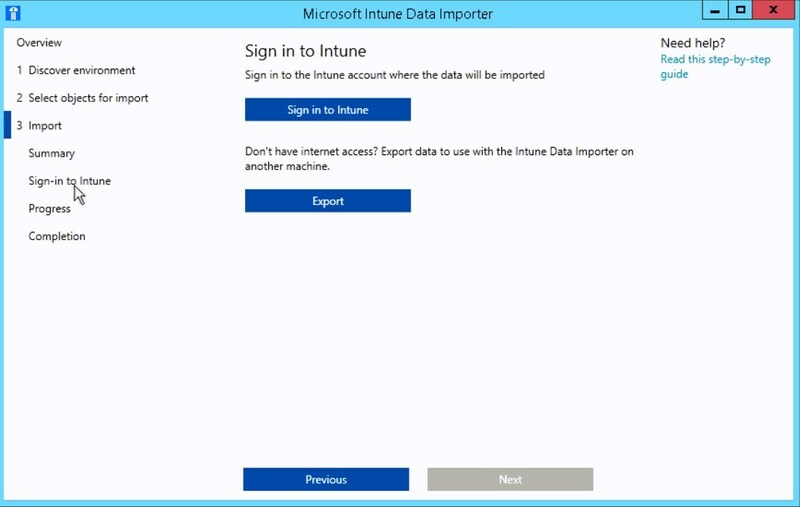 In this post, we will detail how to move Intune from Hybrid mode to Standalone. 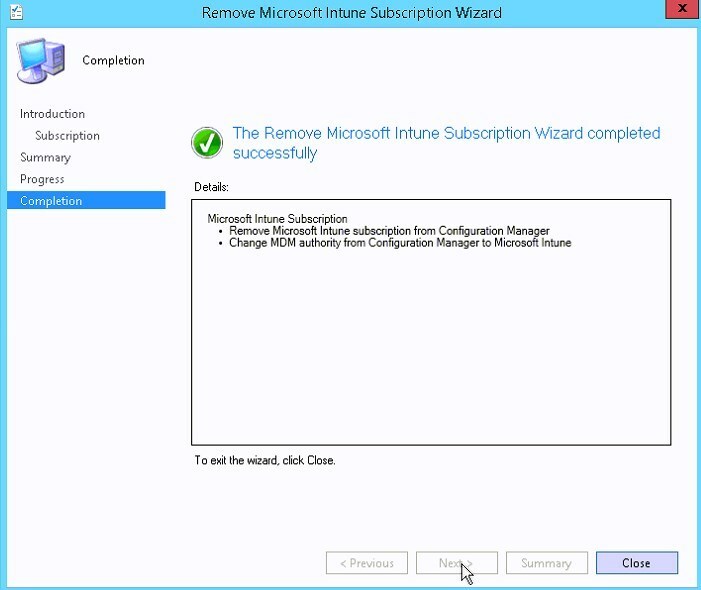 In the event that you configured the Intune connector in SCCM, but actually never used any of those features, changing the MDM authority to Intune, by removing the Intune Subscription from SCCM can do just fine. 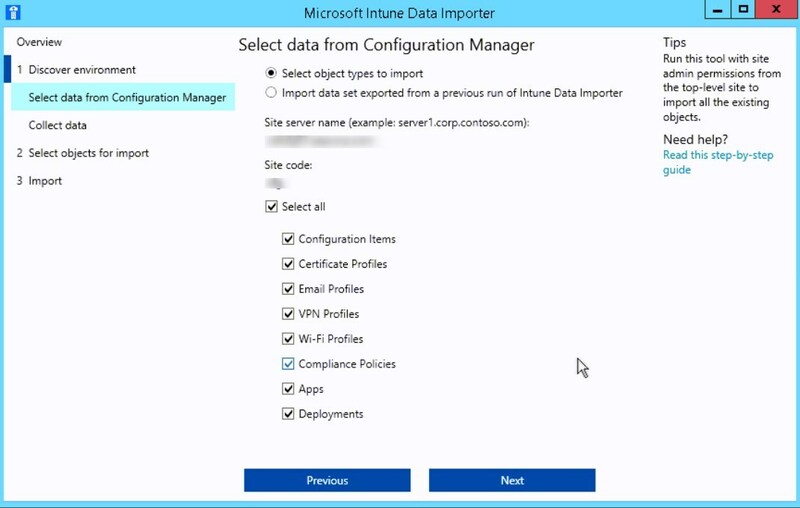 The first step, which is not mandatory, is to bring policy, apps and deployment from SCCM to Intune. This is optional because it could be all recreated manually. 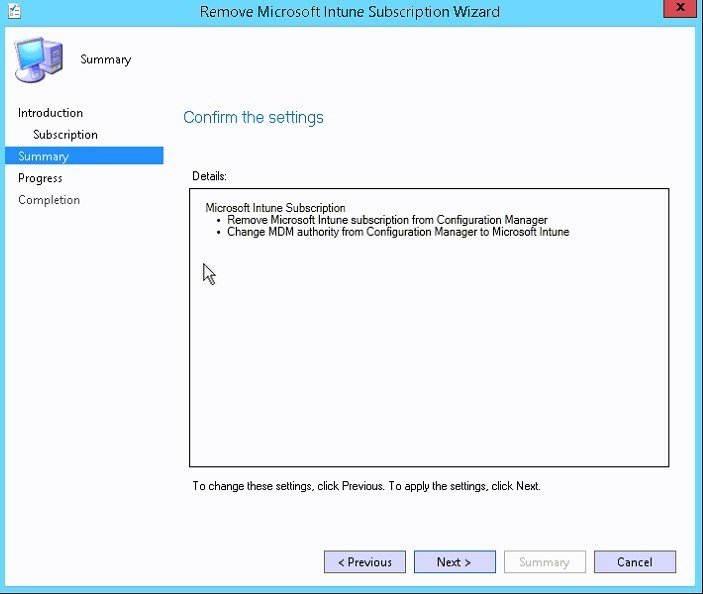 The idea here is the publish the exact same configuration as in SCCM. This will lead to a smooth transition without impacting the end-user. 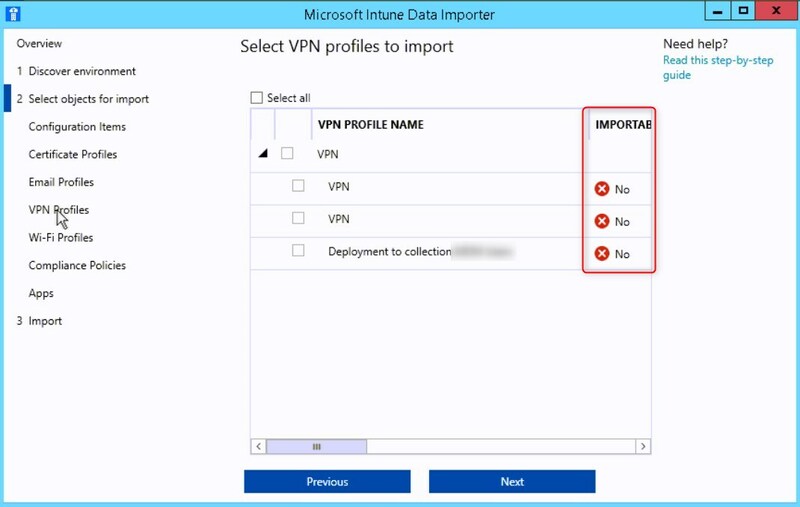 This can be achieved by an Intune Admin or Global Admin. You can always come back to that screen if you choose not to import discovered data. 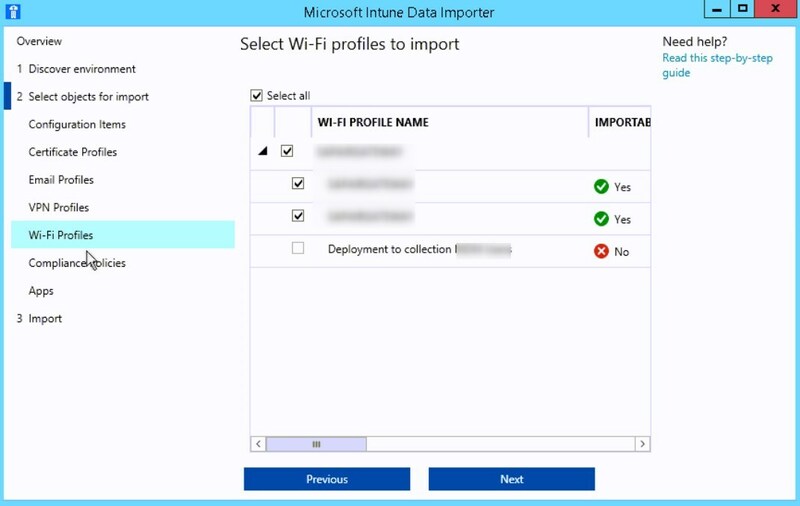 Microsoft does recommend to import content to a Trial Tenant before going into production. 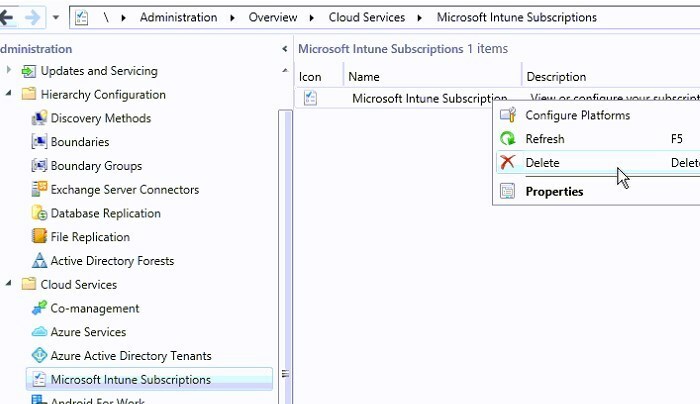 If the tool is run multiple time for the same tenant, you might end up with duplicate items. Once logged in, the import process starts automatically. We had issue with the migration of the deployments. 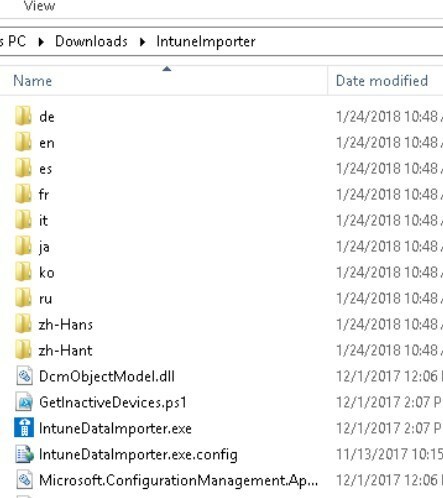 The target group, that is a member of our collection in SCCM, was not found in Intune, so the tool was not able to target assignment correctly. The group was well synced to AAD and was available to be assigned manually. The group name had spaces in it. That might have been the issue. The end result is that we had to manually do the assignment for each policy and applications. 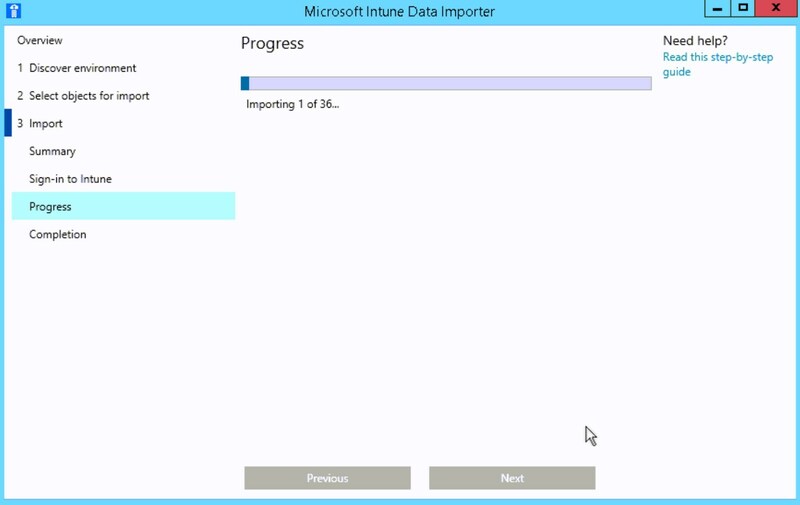 Note that rerunning the import data tool could lead to duplicate items in Intune, and importing only Deployment is not possible without selecting the desired item at the same time. Before going forward with users and devices migration, here are some validation that should be done. Once the data is imported and all validation is done, it’s time to migrate a group of test users to their devices to see how it goes. The process is quite simple for users devices. 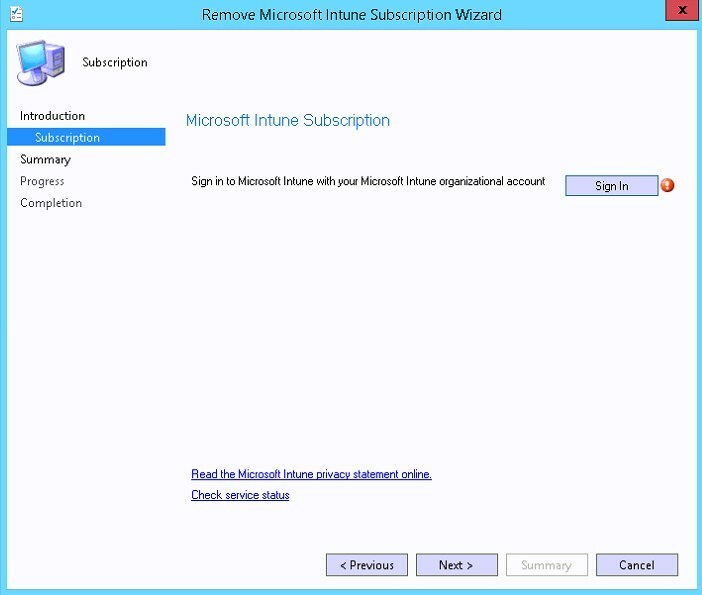 Devices enrolled by users that are no longer allowed to enroll devices into SCCM, are automatically redirected to Intune. 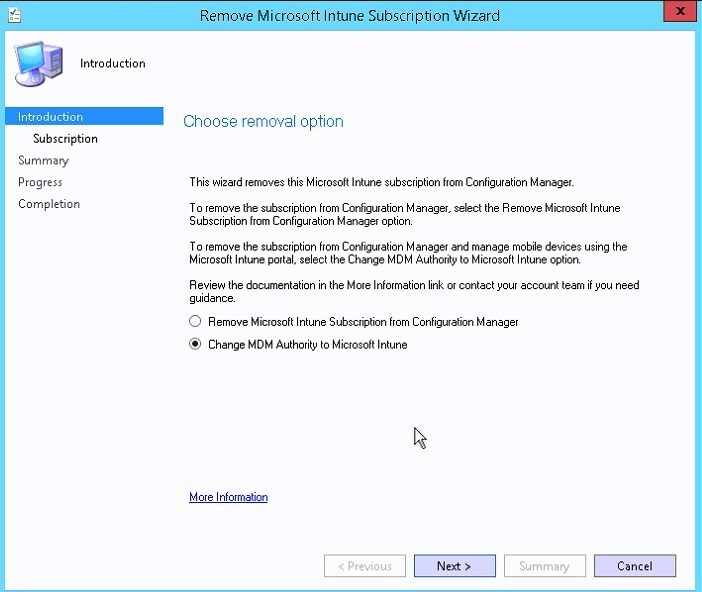 This means, that users must be excluded from the collection defined in SCCM Intune Subscription, to allow users to enroll devices. 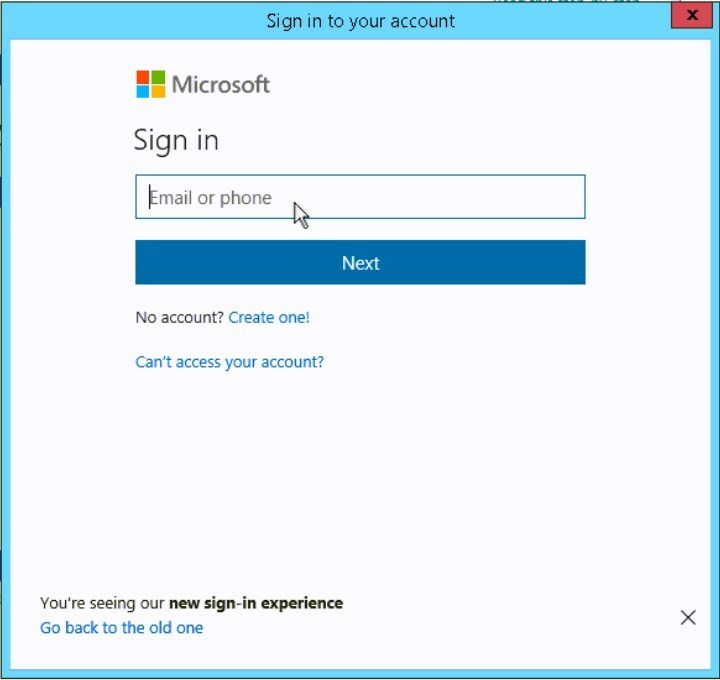 From this point, users’ devices will be redirected to Intune. Make sure policies, apps and deployments are assigned. 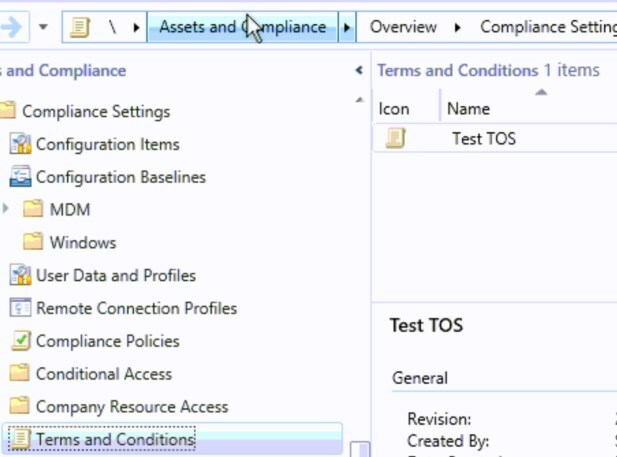 If the configuration is identical from SCCM, this change will be 100% transparent for the user. Before moving all users, testing should be done to ensure that your mobile devices are correctly managed. Once tests are completed, we can move on using the same method to migrate all other users and devices. If you have devices enrolled by Apple DEP program, devices can’t be migrated by their assigned owner. 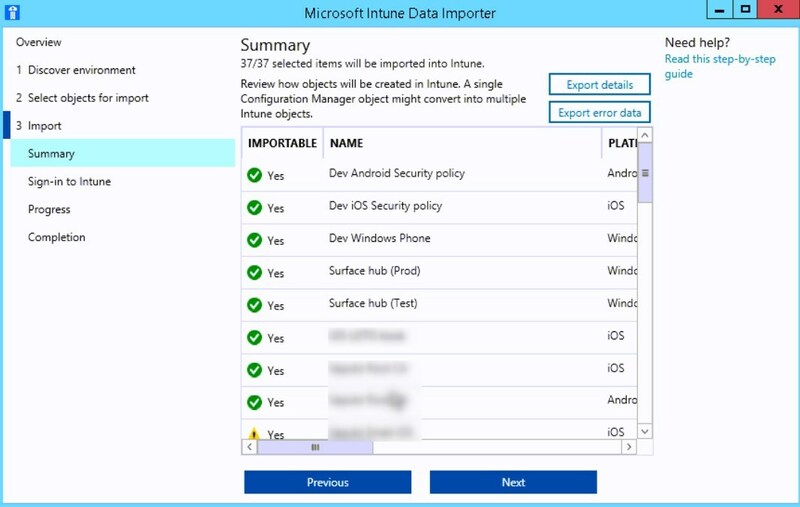 Those devices are considered user-less in Intune. 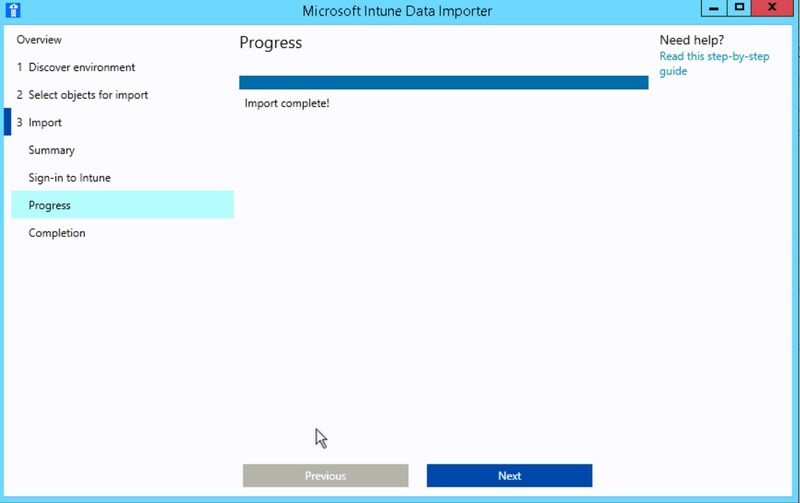 To migrate those, there is a PowerShell cmdlet available in the Intune data importer. 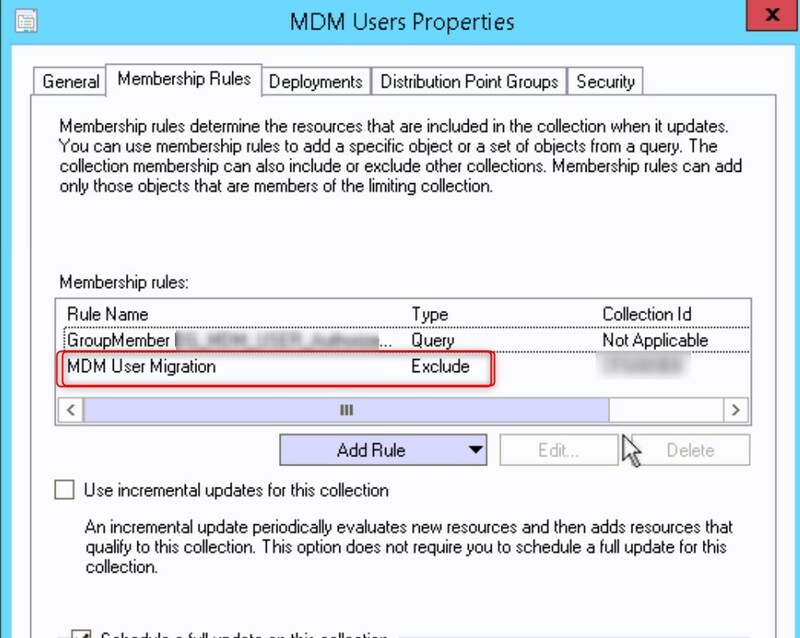 More details on how to migrate device without user affinity are available on Microsoft Documentation. 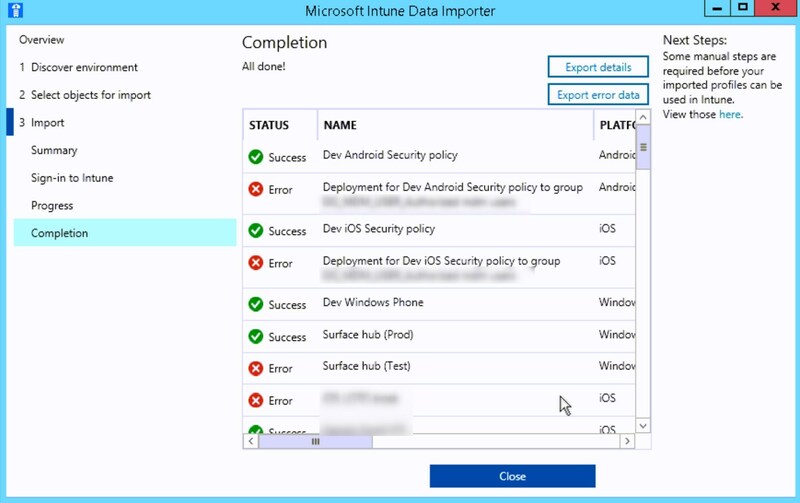 After all users devices are migrated, it’s time to set Intune to standalone. 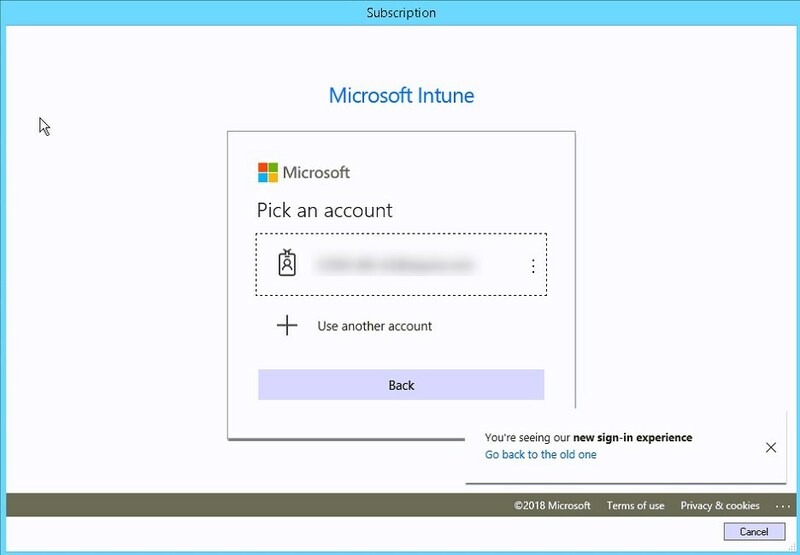 The account provided to Sign-in Intune, must have a license for Intune assigned to the account. 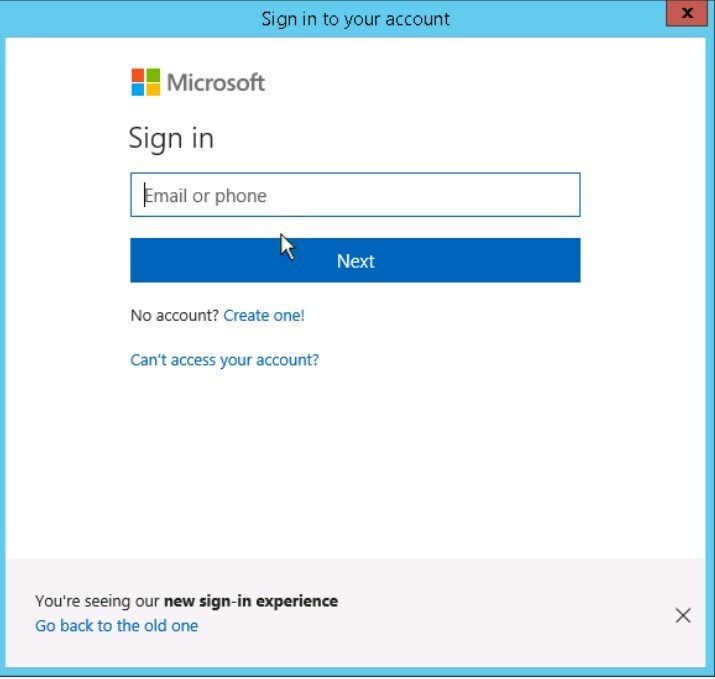 If you are using Device enrollment managers, they must be reconfigured at this point. 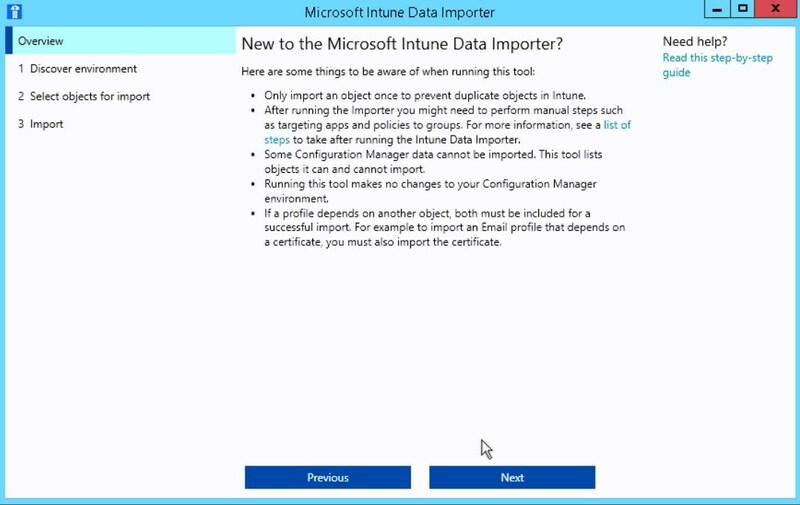 I’m interested in migrating SCCM content to Intune standalone MDM Authority that was setup after Microsoft discontinued Hybrid mode and thus the Microsoft Intune Data Import tool cannot be used anymore. 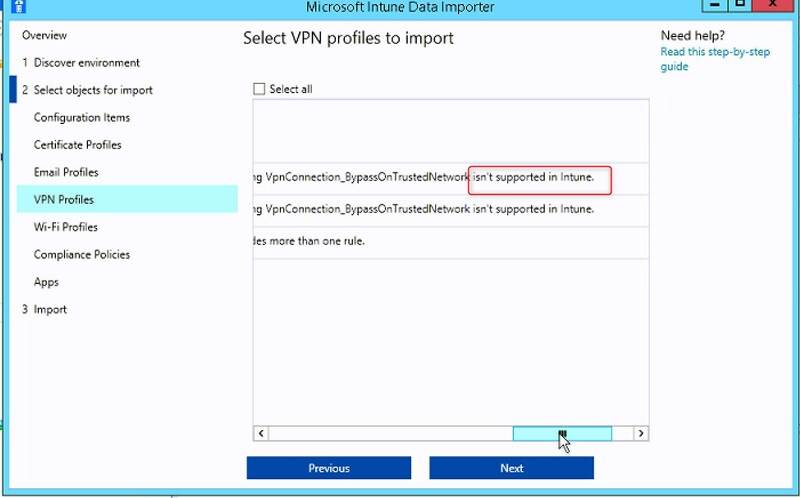 If understand it correct, the tool imports configuration items, apps, policies to Intune, but not the device objects? 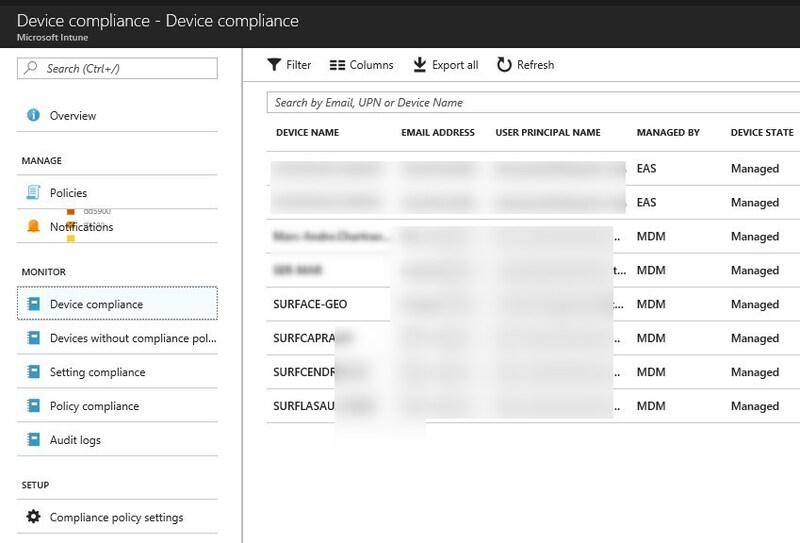 Those device objects only show in Intune after switching the license for the user or switching the MDM Authority?